Liberal deputy Celeste Amarilla agreed 75 years is a right age for retirement. 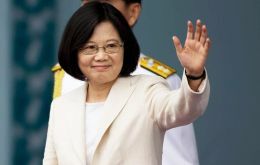 She made those remarks during a radio interview as she argued that at 60 people still have a lot of intellectual and physical strength and called for the matter to be discussed. The World Health Organization (WHO) certified Paraguay as having eliminated malaria, the first country in the Americas to be granted this status since Cuba in 1973. “It gives me great pleasure today to certify that Paraguay is officially free of malaria,” said Dr Tedros Adhanom Ghebreyesus, WHO Director General, in a recorded statement. 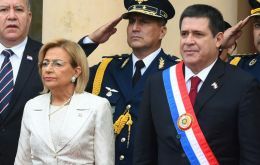 Paraguay officially moved the country's embassy to Jerusalem on Monday, with President Horacio Cartes in Israel for the ceremony, also attended by Prime Minister Benjamin Netanyahu. Paraguay, a member of Mercosur, is now the third country to move its embassy to Jerusalem, following the United States and Guatemala. The inauguration ceremony took place at noon at the embassy’s new home in the Malkha technology park, which also houses the Guatemalan embassy.